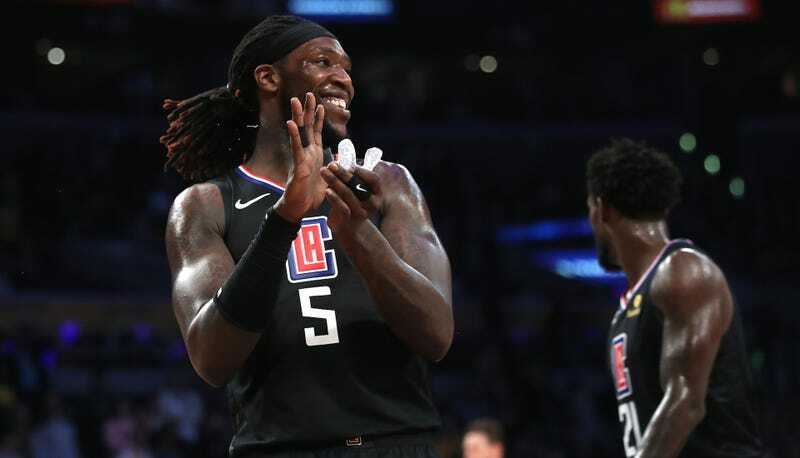 Clippers center Montrezl Harrell is a giant dude who will try to dunk on anyone and scrap for every rebound. He’s spent the first two games of the playoffs succeeding in both areas, going 20-for-24 from the field and causing trouble for the Warriors. He’s also rather fussy about how he is presented with the ball before he shoots free throws, as The Starters’ Tas Melas noted yesterday. Harrell only have more room to drive and draw fouls now that DeMarcus Cousins is out for the playoffs. As long as he gets the ball bounced to him the right way, he’ll be happy.